Light Scattering University (LSU) is the brainchild of Dr. Philip Wyatt, who wanted to instill in our customers more than just a passing reference to light scattering. 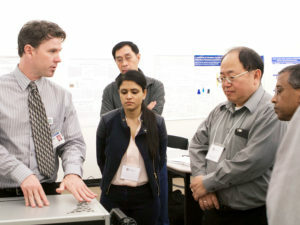 The course demystifies light scattering and provides a unique opportunity to dive into your needs and applications with our expert instructors, connect with light scattering users from around the world, and gain a deeper understanding of your instrumentation and software. Over the past 30 years, the class has grown in its curriculum and its scope. It delves into the theory—and practice—of classical and dynamic light scattering through hands-on practice sessions, software exploration in the computer labs, lectures, and individual instruction. Attendees leave with the most up-to-date documentation, software and firmware versions, and tutorials that benefit everyone back home. LSU not only reinforces concepts from the first installation training visit but also ensures the same level of knowledge and understanding is passed on to the newest users. The gold standard of education from our experienced LSU faculty gives everyone in the lab the right starting point and sets them up with the best foundation possible. 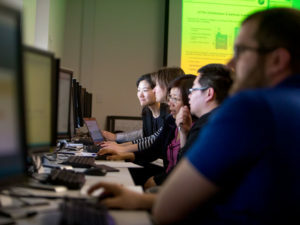 In addition, LSU students discover advanced data processing methods and alternative analytical tools that they may not have been aware of and learn how their MALS and DLS data complements information from other techniques they are using in the lab. A LSU credit, inclusive of airfare, accommodations and most meals, is included for most North American customers who purchase one of our light scattering instruments. While you are here, we work you hard but feed you well—at a variety of Santa Barbara restaurants! In addition to learning from the faculty, the students in each small cohort learn even more from each other. It’s the perfect opportunity to network, share questions or successes, and troubleshoot common problems. We’ve even introduced colleagues to each other who worked on different floors in the same company but had never met! LSU brings together users with a variety of applications, all of whom share a need for the robust macromolecular characterization afforded by light scattering.